Packing up your house and moving abroad can be pretty expensive, so it’s natural to look for ways to cut costs. We offer loads of advice on how you can save money when moving overseas, but skimping on removals insurance is not one of our top tips. Shipping your belongings across the ocean can be risky business. 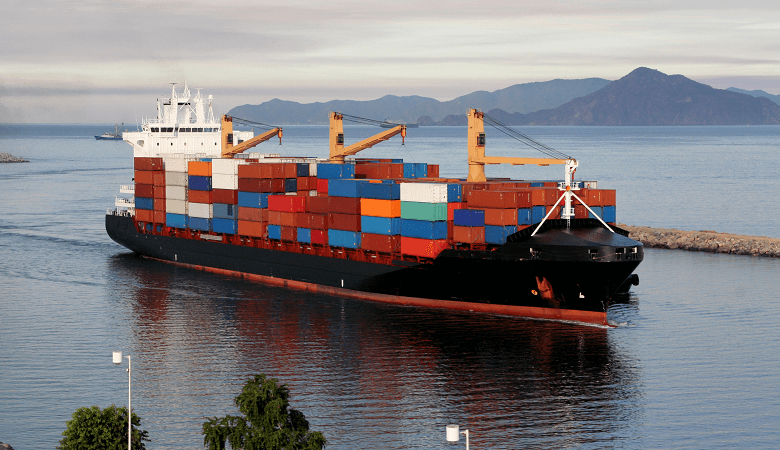 While the vast majority of sea containers arrive at their destination port in perfect condition, shipping companies cannot guarantee the safety of your goods. After all, accidents can (and do) happen. By not taking out removals insurance, you risk having to pay for any loss or damage to your possessions. And this could add up to a lot of money if you’re moving things like antique furniture, electrical items or even a car. 01 | What is removals insurance? 02 | What are the different types of removals insurance? 04 | How much does removals insurance cost? Removals insurance (or marine cargo insurance) protects your belongings while they’re transported from one country to another. The amount of cover you get depends on the insurance policy you take out, but in general, your cargo will be protected against accidental loss and damage from the moment it leaves your old home until the time it reaches your new front door. But why do you need removals insurance? The most common claims made by international movers usually relate to dents, scuffs and scratches made to their belongings while in transit. A container ship can tilt by up to 30 degrees while it sails across the ocean, which can inevitably lead to your cargo moving around a little bit. By taking out removals insurance, you can sleep easy knowing that any loss or damage to your goods will be covered. If your belongings are important enough to bring with you, they’re important enough to be insured properly. What are the different types of removals insurance? Removals insurance covers your belongings on an itemised basis. This means your insurer will offer to repair, replace or compensate every individual item that has got lost or damaged while in transit. So your insurer knows how much money to reimburse you, you’ll need to value every item in your home. An item’s value is based on how much it costs to replace it, not the amount of money you originally bought it for. It’s also vital that you don’t undervalue anything. After all, there’s no point buying removals insurance if you’re not going to get an adequate payout. When valuing your belongings, take time to thoroughly describe each item’s pre-shipment condition and take lots of supporting photos. Should you need to make an insurance claim, this will make it much easier to prove that any damage to your furniture was made while it was being shipped. Every removals insurance provider has its own set of unique policies, but we’ve put together a general list of policies which you might encounter. The policy you choose will ultimately depend on your budget and how much cover you want.The more cover you take out, the more expensive your removals insurance will be. This is the cheapest option. Total loss coverage depends on the entirety of your belongings being lost or destroyed before you are reimbursed. If a storm sends half your furniture into the ocean, for example, but the other half reaches the port, you won’t get any kind of payout. On the other hand, if your whole container falls into the sea, then you’ll be given money to replace its entire contents. Your furniture is a little bit more protected with this one. Named perils coverage will insure your goods against a number of scenarios, but not everything. Common perils on this kind of policy include vehicle accidents, fire damage and theft. As with total loss coverage, you’re protecting your belongings against the most major events, but your possessions still aren’t covered against common problems like dents and scratches. A burnt sofa is getting replaced, but a scuffed sofa is going straight into your new home. This is the one you really should take out. All risk coverage is the most expensive option but it’s worth it. All your belongings are protected against any kind of loss or damage, as long as they are professionally packed. If your packing isn’t quite up to scratch (e.g. your wardrobe’s corners are poking out), your insurance company might not give you any compensation. To find out how to properly pack your goods, visit our guide to moving furniture abroad. Who will you buy your removals insurance from? You’ve got two choices: a shipping company or a separate insurance company. Either will do the trick, but you must make sure you’re paying for it. ‘Free’ removals insurance thrown in as part of a deal is almost always too good to be true. and you have to prove that any damage has been caused by the shipping company’s negligence. What’s more, it only covers you for total loss. So it’s barely any money and you’ve got to jump through several hoops to get it. If your £2,000 flat-screen television gets smashed in transit, £40 just won’t cut it. This is why it’s essential to pay for proper coverage, either as an add-on from your shipping company or a separate policy with an insurance company. How much does removals insurance cost? worth of belongings being shipped overseas. The cost of removals insurance depends almost entirely on two things: the value of your goods and the distance they are travelling. While you can’t do much about how far your belongings have to travel, you can do something about the value of your goods. The obvious answer is to take less stuff. Look at everything you want to move overseas and decide if it’s really worth it. If it’s not, you can leave it behind. The less you bring, the less goods you’ll have to insure and the less it will cost. Do you still use an item? If it’s been collecting dust in the back of your wardrobe, it’s probably time to get rid of it. Will your furniture fit in your new home? If you’re downsizing, some of your furniture will probably not fit so there’s no point taking it with you. Is it cheaper to buy it abroad? If a belonging is old and falling apart, it could be cheaper to buy a replacement one overseas rather than ship the old one with you. You’ve got to read the small print! We all like to skip over the terms & conditions, but there are some that just can’t be ignored. You must know exactly what your insurance policy covers before sending your belongings in a container over the sea. The inside of a shipping container can get damp, especially if it’s travelling through the tropics. Once it gets humid inside a shipping container, your belongings are exposed to the risk of mould and mildew. Professional packing and a secure container will help enormously, but there’s no way to guarantee 100% protection from mould. No, this is not when your washing machine goes crazy. It’s when your electrical appliances stop working after transit, even though there is no physical sign of damage. Sometimes things go wrong with the circuitry of white goods as they travel over the ocean. If you’re bringing over a few electrical appliances, insuring yourself against electrical derangement is wise. What good is a set of four dining room chairs if one of them is broken? If part of a pair or set breaks during transit, having this cover means your insurance company will pay for the replacement of the whole pair or set. You should also check the policy for items that you aren’t allowed to bring with you. If your furniture gets damaged by another object in your container that you weren’t supposed to bring, you won’t be able to make a claim. Think twice before you take your gas cylinders, buckets of paint, swords and switchblades. You’ve opened the container and unpacked your belongings into your new home. Let’s say there are a few damages you need to report. Maybe your favourite mirror’s cracked or your coffee table’s got a big dent in it. What now? You need to make a claim, and quickly. Every insurance policy will give you a grace period after the arrival of your goods in which you can make a claim, which is normally around seven days. The claims process varies somewhat between insurance providers, but you’ll often be required to ring your insurer and provide documents and evidence that supports your claim (e.g. photos of your furniture before and after your move). Make sure you have your policy number to hand before making a claim. Top tip: It’s no good waiting until you need to make a claim to work out how to do it. Get your head around the procedure before your goods get going start their journey across the sea, so you know exactly what to do if they arrive damaged. Yes, this involves more reading of the small print. Hopefully you’re feeling all fired up about removals insurance. It’s a vital part of international relocation and it’s not a cost you can cut. If you’re thinking of moving abroad, you’ve probably got a few belongings that you’d like to bring with you that need to be insured. To get up to six shipping quotes, fill in the short form at the top of this page. All you need to do is tell us a bit about yourself and your move so we can match you with the best shipping companies for your move. For more information on how much it costs to move your belongings abroad, check out our guide on international shipping costs. How much is removals insurance? Where do I buy removals insurance? You can buy removals insurance from your shipping company or from an independent insurance company. Either option is fine, just make sure the policy you take out provides you with enough cover for your belongings. We’d recommend avoiding limited liability coverage and total loss coverage. You must make an insurance claim within your policy’s grace period. This is normally up to seven days since your goods arrived at their final destination. The claims process varies between insurance providers, but it generally involves calling up your insurer and providing documentation and evidence that supports your claim (e.g. photos). Does home contents insurance cover moving house? Sometimes. It depends on your home contents insurance policy. 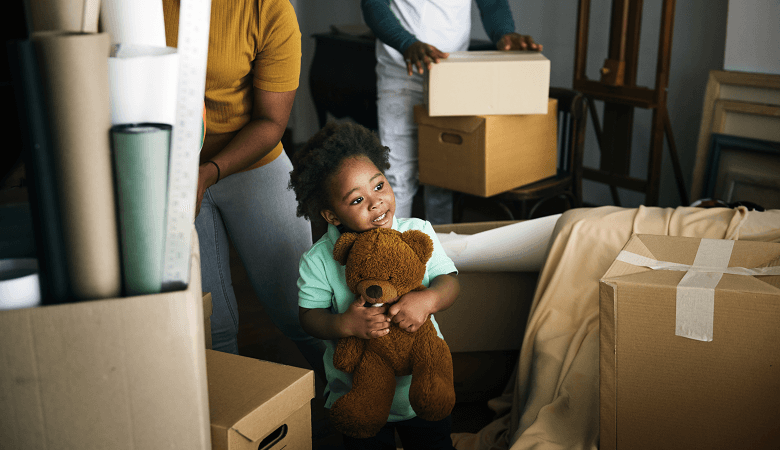 A lot of home contents insurance policies do provide cover while your belongings are in transit, but you should always check. You might find that it doesn’t cover belongings in transit by sea or over a certain distance.